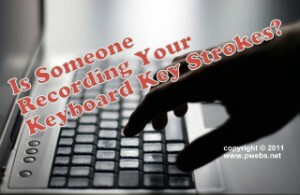 Is Big Brother Listening to Your Keyboard? Shush, is your keyboard speaking? Not in the literal sense, although they probably have talking keyboards, but there is a program, developed by a computer scientist student at UC Berkeley, that can listen to the keyboard strokes and decipher with over 90% accuracy what was typed. The audio recording is done with a simple recording device placed near the subject. Then the audio is fed through a program algorithm which processes and deciphers the keystrokes. Passwords and other personal and identifiable information can be ascertained through this type of processing. While the computer scientist student set out to demonstrate the security holes in using keyboards, I would imagine there are applications that could come out of this technology that would be helpful to the world. At present though, I find it difficult to come up with any ideas that would make this type of program useful in other ways. Of course, the development of other spy technology stuff has helped in various fields of business. For example, the super powerful spy satellites that can read the information on a dollar bill from thousands of miles in space has helped in the field of mapping technologies, analysis of tectonic plate movements, weather analysis, and even GPS tracking. As with any new technology, (watch out for hidden keystroke logger software installed as spyware on your computer) the potential is always present to use it for evil. Hopefully , something good will result from the keyboards. Get Internet marketing results today.